#ImranTahir is a perfect example of someone who is truly enjoying the game! Suresh Raina Scored Unbeaten 58 Runs to help CSK over the line❤ It's was a Match Winning knock including 7 four & 1 Six. His Calmness in the middle helps us to grab this win. VICTORY!! 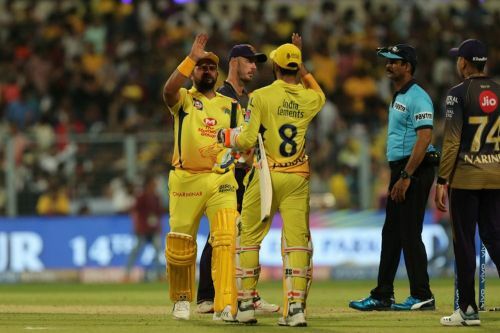 💛💛 Congratulations #CSK on beating #KKR at Eden Gardens by 5 wickets. Credit goes to Suresh Raina. What a wonderful finish with just two balls remaining.